Lead Based Paint Abatement Services. PCB Removal and Clean Up Services. Mold Remediation and Structural Drying Services. Fire and Flood Clean Up Services. 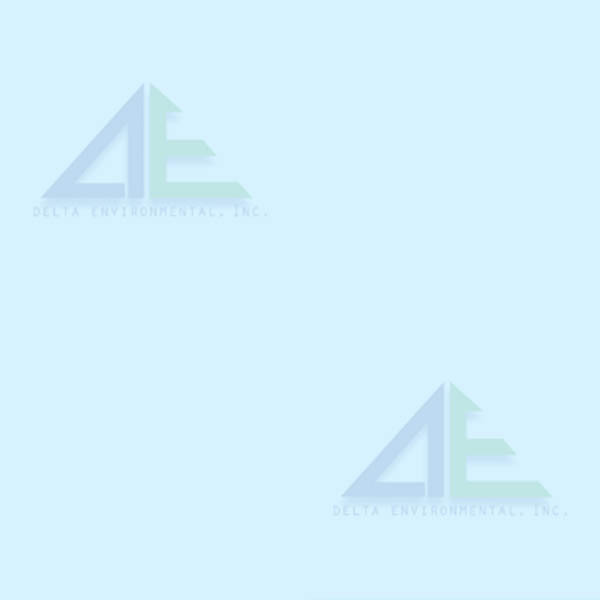 Delta Environmental has been a General Contractor since 1998. Removal of asbestos containing materials. Asbestos is commonly found in Pipe Insulation, Structural Steel Fireproofing, Floor Tiles, Boiler Insulation, Boiler Breaching Insulation, Duct Insulation, and other Building Materials installed in buildings prior to 1980. Asbestos can be found in many other materials in a non-friable form. Materials with an asbestos content of greater than 1% are considered asbestos containing and are regulated under New York State Law, US Environmental Protection Agency Regulations, as well as regulations of other States. Delta Environmental is licensed in New York State for the removal of asbestos materials. Delta Environmental complies with all New York State and New York City asbestos removal regulations and procedures. Delta Environmental works with professional, safe, technical precision on identifying asbestos problems, recommending the best course of action and implementing state-of-the-art monitoring all the way from worksite preparation to final "clean air" results. Construction of decontamination facility for workers and waste shipping containers. Isolation of the work area where asbestos will be removed. Work area preparation and sealing to prevent asbestos fiber migration out of the removal work area. Installation of HEPA air filtration machines to filter the air of asbestos fibers. Use of amended water solutions to prevent asbestos fiber generation. Removal of asbestos materials in compliance with State and Federal regulations. Cleanup of the asbestos work area prior to final air clearance testing by an independent air monitoring company by law. Disposal of asbestos waste in a licensed asbestos landfill. Lead was an additive in quality paint prior to 1978. Lead is a poison and can cause damage to internal organs and the nervous system, as well as cause brain damage. Lead-based paint can be found on any interior or exterior surface in an older building particularly on woodwork, doors, and windows. Heavily leaded paint was used in about two thirds of the buildings built before 1960. Delta Environmental is certified by the US Environmental Protection Agency for the removal of lead and lead-based paint. Inspection and Testing to determine lead-based paint locations. Documentation of results for future records and maintenance of lead-based paint surfaces if surfaces are to be maintained and not abated. Remediation Procedures and Cost Analysis to determined to best cost effectively remediate the lead-based concern. Removal of lead-based paint as necessary with state-of-the-art procedures and equipment to prevent migration of lead dust during the work procedure. Disposal of waste as per US EPA regulations. Documentation of entire work procedure for recordkeeping requirements. Encapsulation of lead-based paint surfaces where necessary with US EPA approved encapsulants. Enclosure of lead-based paint surfaces where necessary with approved materials. Soil Removal or On-Site Remediation as required for contamination in soil. Other remediation procedures for water testing and treatment. Solid lead removal and disposal. Poly Chlorinated Biphenyl's or more commonly named PCBs are linked to numerous health effects including cancer and non-cancer effects of the endocrine, reproductive and immune systems. PCBs are regulated under the Toxic Substances Control Act (TSCA). TSCA now bans the manufacture, processing, use and distribution in commerce of PCBs. PCBs can be found in old utility transformer oils, mineral oils, and fluorescent light bulbs. Delta Environmental has extensive experience with PCB cleanup from working many years with Consolidated Edison Company of New York. Inspection Services: Sample Collection and analysis to determine PCB content and waste characterization. Soil Treatment or Bio-Remediation where applicable. Mold has been proven to cause allergic reactions, respiratory tract irritation, hypersensitivity and aspergillosis from exposure to the mycotoxins that they produce. Mold can also damage contents and furnishings, as well as destroy wood and compromise the building structure itself by damaging the building materials. Mold requires moisture to grow, therefore it is important to prevent moisture problems in buildings. Mold remediation procedures in compliance with US Environmental Protection Agency and New York City Department of Health guidelines are used to remove microbial contamination so that building structure damage is minimized and the client's business can continue with minimal interruption. As part of the mold remediation process, testing will be performed to monitor humidity levels in the air and the moisure content within the building materials. Delta Environmental complies with all New York City and US EPA mold remediation guidelines and work procedures. The drying of a building structure must occur within 48 hours following a flood or water loss incident to help prevent the growth of microbial contamination. Building materials that become wet from a flood or water loss can trap moisture behind walls, above ceilings, under floors, or in ductwork of mechanical chases of the building. Delta Environmental is ready to respond 24 hours a day/7 days a week to dry the building structure with a combination of air movers and dessicant and refrigeration dehumidifiers. Delta Environmental is experienced and qualified in structural drying of both commercial/industrial as well as residential buildings. Failure to remove contaminated materials (after a fire) and to reduce moisture and humidity levels (after a flood or fire) can present serious long term health risks. Standing water and wet materials are a breeding ground for microorganisms, such as viruses, bacteria, and mold. These can cause disease, trigger allergic reactions, and continue to damage building materials long after the fire or flood. Removal of standing water and the drying of the building structure must be completed immediately to limit the structural damage and prevent the growth of mold and microorganisms. Wet contents need to be discarded or cleaned and dried to prevent microbial growth. Delta has been performing fire and flood cleanup services since 2002. Delta Environmental can remove the standing water, dry the building structure, and clean and disinfect contents and building surfaces to prevent microbial growth and poor indoor air quality associated with mold growth. Delta Environmental inventories contents for insurance claims. Delta Environmental utilizes HEPA air filtration machines with charcoal filters to filter the air within the building or home. Additional air moving equipment is installed to properly circulate and change out the air within the building structure to lower the humidity level. After the building structure and contents has been cleaned and dried, construction and restoration of the building structure and owner's property can begin.